The Syrian Foreign Ministry has sent a letter to UN Secretary General Ban Ki Moon, accusing the countries that refused to label Ahrar ash-Sham and Jaysh al-Islam as terrorist groups of double standards, SANA news agency reported. "The refusal of the US, France, Britain and Ukraine in the UN Security Council to list Ahrar ash-Sham and Jaysh al-Islam as terrorist organizations proves that those countries continue their double standard policy in fighting terrorism and shows their irresponsible attitude to the issue," the document read. The ministry also noted that aggressive actions by militant groups in Syria, including Ahrar ash-Sham and Jaysh al-Islam, is an attempt to undermine the Syrian peace process in Geneva. Earlier in the day, the Russian Defense Ministry reported that al-Nusra Front terrorists and Ahrar ash-Sham militants had shelled Syrian government forces in Aleppo. "Militants from al-Nusra Front and Ahrar ash-Sham armed group conducted a mortar attack against the positions of [Syrian] government forces in the district of Ansar in Aleppo's southwest," a spokesman of the Russian center for Syrian reconciliation at the Hmeymim airbase said. The attack with the use of mortars and multiple launch rocket systems was conducted from the Rashidin neighborhood in Aleppo, according to Russian military. 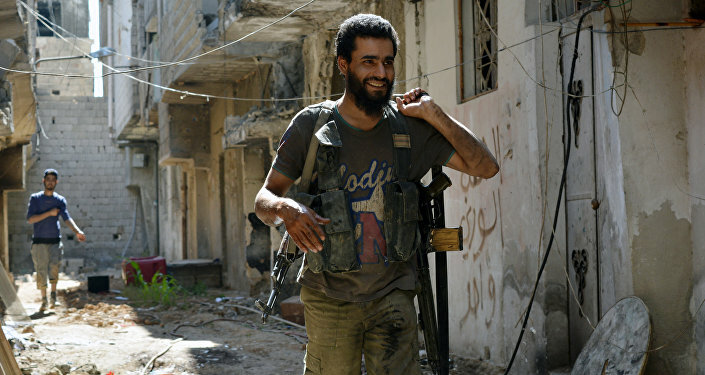 Jaysh al-Islam is one of the most power factions within the Syrian opposition. Moscow and Damascus have repeatedly opposed the participation of Jaysh al-Islam members in the negotiations. The group has been accused of attacking the Syrian Army and government facilities as well as of using terrorist tactics. It has been part of the so-called pro-Western Syrian opposition, backed by the US, Saudi Arabia and Turkey. Ahrar ash-Sham is a coalition of multiple Islamist units fighting against the government of Bashar Assad. It is one of the largest Syrian rebel groups. The group, along with Jaysh al-Islam, is one of the main rebel groups supported by Ankara and Riyadh. It is also openly allied with al-Nusra Front.